An e-commerce trading floor will be set up to sell products from South Korea, a conference heard in Seoul on Monday. Hoang Ngoc Huan, chairman of the Vietnam Cable Television Corp said his enterprise was preparing for an online/offline product distribution project, backed by a strong marketing network. The project would establish a new trading platform dedicated to selling reliable and quality South Korean products, he said. 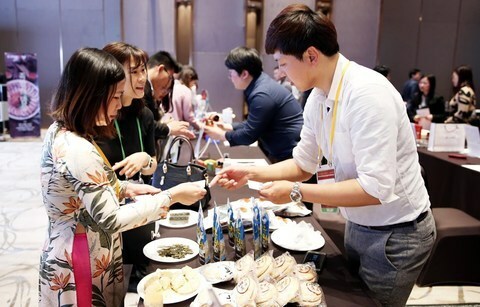 During the event, VTVcab, the Korea SMEs and Start-up Agency (KOSME) and Phu Thai Group signed an agreement aiming to support South Korean enterprises in advertising and distributing their products in Viet Nam. Pham Dinh Doan, president of Phu Thai Group said the agreement would help Korea small and medium-sized businesses to effectively launch their distribution channels in Viet Nam. Hosted by VTVcab and KOSME, the Vietnam Business Export Conference 2019 witnessed the participation of nearly 220 enterprises from the two countries. KOSME director Lee Sang Jik said he hoped the event will contribute to improving the bilateral trade between the two countries. Two-way trade has skyrocketed in the past from a modest US$500 million in 1992 to $60 billion in 2017 and approximately $63 billion in the last 11 months of 2018. Viet Nam and South Korea aimed to boost bilateral trade turnover to $100 billion by 2020 with a balanced trade direction, following an action plan signed between the two nations late last year. Under the plan, from now until 2020, the two countries will co-operate to support Vietnamese enterprises in enhancing their competitiveness in the fields of spare parts manufacturing, automobiles, garment and textiles, footwear and electronics while facilitating agricultural trade between the two sides.